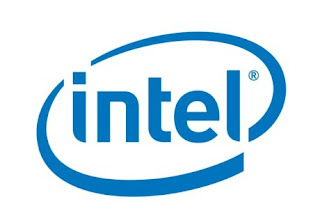 Intel today officially unveiled new processors list and price cuts , whats new is the six-core Core i7-990X Extreme Edition Gulftown-based processor which use 32nm technology , Intel also cut down the price of its Core i7-970 and Core i7-960 models. The new Extreme edition six-core Core i7-990X is a 32nm unlocked multiplierCPU based on the Gulftown , has six cores and twelve processing threads with Intel Hyper-Threading Technology , clocked @ 3.46GHz and can achieve 3.73GHz when TurboBoost launched , the CPU include 6x256kB of L2 cache, 12MB of L3 cache, featuring triple-channel DDR3-1066 memory , the TDP is at 130W , the six-core Core i7-990X Extreme Edition appeared in the retail/e-tail with a hot price tag at €914,68. In addition Intel cut down the prices of the Core i7-970 from US $885 to US $583 and the Core i7-960 from US $562 to US $294 , and that new numbers are really nice ! Also new CPUs appeared on the server side , Intel released 12 new Xeon processors which reach the 1663 dollar price tag for the Xeon X5690.